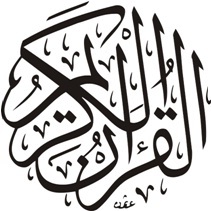 Welcome to the Quranic Arabic Corpus, an annotated linguistic resource which shows the Arabic grammar, syntax and morphology for each word in the Holy Quran. The corpus provides three levels of analysis: morphological annotation, a syntactic treebank and a semantic ontology. The Quran is a significant religious text written in Quranic Arabic, and is followed by believers of the Islamic faith. The Quran contains 6,236 numbered verses (ayāt) and is divided into 114 chapters. (21:30) Have those who disbelieved not considered that the heavens and the earth were a joined entity, and We separated them and made from water every living thing? Then will they not believe? This project contributes to the research of the Quran by applying natural language computing technology to analyze the Arabic text of each verse. The word by word grammar is very accurate, but ensuring complete accuracy is not possible without your help. If you come across a word and you feel that a better analysis could be provided, you can suggest a correction online by clicking on an Arabic word. 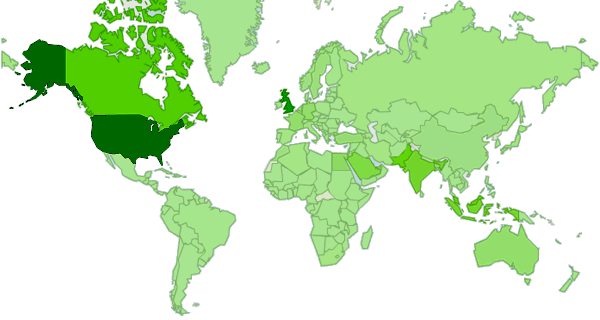 World map of users of the Quranic Arabic Corpus, provided by Google Analytics. Countries with the highest number of users are shaded in darker green. The map above shows worldwide interest in the Quranic Arabic Corpus. Every day, the website is used by over 2,500 people from 165 different countries. Help us review the information on this website so that together we can build the most accurate linguistic resource for Quranic Arabic. The Quranic treebank is an effort to map out the entire grammar of the Quran by linking Arabic words through dependencies. The linguistic structure of verses is represented using mathematical graph theory. 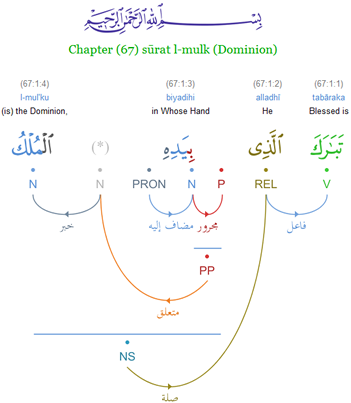 The annotated corpus provides a novel visualization of Quranic syntax using dependency graphs. The Quranic Ontology uses knowledge representation to define the key concepts in the Quran, and shows the relationships between these concepts using predicate logic. Named entities in verses, such as the names of historic people and places mentioned in the Quran, are linked to concepts in the ontology.